Four months have passed since my last article about the inextricable problems of the European Union (“How bad is it going in Europe,” Jan. 7). It might be time to revisit this highly critical issue. From the beginning of the crisis, while I was becoming more familiar with the basic economics of the eurozone, I believed that the European Economic and Monetary Union (EMU) must be restructured or dismantled. 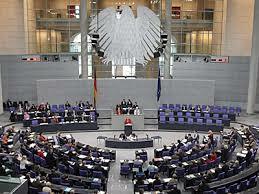 Recent events involving this issue, such as a report from Deutsche Bundesbank to the German constitutional court and the recent appearance of George Soros with an article titled “Germany's choice,” gave me the impression that following the German general elections in September, we will witness a final outcome, one way or another. The Bundesbank report just repeats its well-known, harsh criticism of European Central Bank monetary policy, but it is worth noting that a confidential report prepared by Bundesbank for the use of the constitutional court has been revealed to German daily Handelsblatt. As Soros claims in his article, Germany should either leave the eurozone or accept the “Europeanization” of public debt. That being said, what pushed me particularly to return to the eurozone crisis is a recent article titled “Eurozone is on the brink of collapse,” which is based on an interview with Professor Paul Jorion, author of several books on the capitalist economy and holder of the newly created “Stewardship of Finance” chair at Vrije Universiteit Brussel. During his interview for the article with Mediaport, a popular French Internet daily, Professor Jorion said he believes, along with Soros, that the time of choice for Germany has come. Almost everybody, from the International Monetary Fund (IMF) to Soros, from French socialists to Carmen Reinhart and Kenneth Rogoff, authors of a hotly debated article titled “Growth in a time of debt,” has analyzed the adverse consequences of debt overhang on growth and defend that the mountains of debt of the Southern European countries cannot be repaid and therefore a big part of it must be written off. It is only the Germans who pretend to ignore this unpleasant reality. Indeed, austerity programs are deepening the recession, and the recession deepens the debt problem. Basically two solutions, to be considered simultaneously, are on the table: Massive write-offs in sovereign debt held by financial institutions as well as by the European Stability Mechanism (ESM), and Europeanization of the remaining debt through the issue of European bonds. Beside the sovereign mountain of debt and bank losses of the Southern European countries, there is also another debt mountain: I am talking about the colossal debt of many national central banks of the Eurozone owed to Bundesbank as a result of the accumulation of the current account deficits (CAD) of their countries coupled with the current account surpluses of Germany. Bundesbank actually has 700 billion Euros of owning vis-à-vis the rest of Euro Zone. This debt, under the form of book account, can never be compensated, except if southern countries start to have current account surpluses vis-à-vis Germany. All these “solutions” indicate, in practice, one simple reality: Germans should pay for their success through massive transfers of wealth to the South or say “goodbye” to the euro. Let me finish this article with the last words of Paul Jorion's interview: “The eurozone has become too heavy a burden for Germans. The calculated interest of Germany is to cut the cord," I agree.